I have a friend who hasn't read Harry Potter and I have been shamelessly bullying her about it because I am a terrible person (30%) and I want her to be able to experience something I know she will love (70%). The other night, I jokingly said that she should read one chapter a day, and that I would support her by matching her chapter for chapter, and I thought it would only end in the usual, with her yelling at me and telling me that the movies and wiki were enough. And then at 2AM this morning, she posted a photo of herself reading the first chapter of Harry Potter and the Philosopher's Stone. Granted it was a very sulky and angry picture, but I take what I can! So here I am now, with an oath to read one chapter a day, and way too much pride to renege on it. :)) In addition to reading, I've decided to write two to three sentences about my impressions of each chapter, just because I want to. I'm going to go on Animal Crossing time and assume that 2AM is still part of yesterday, so I've included Chapter Two in this post. I'd forgotten how fairytale-like the first book is. 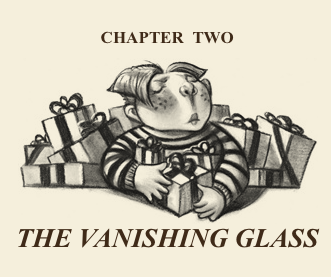 Also, it's funny how J.K. Rowling lays some plot points out in this chapter: Hagrid's loose tongue, Sirius Black and his motorbike, and Dumbledore and candy. The war had been going on for eleven years when Voldemort was "defeated"! I hadn't realised that the war had been going on while the Marauders and Lily had still been in Hogwarts. I would have stabbed the Marauders for pranking during a state of war. Harry really has a laundry list of wandless, uncontrolled magic which I am chalking up to the stressful nature of his childhood OR his connection to Voldemort. It's a little more terrible to read about it now that I am older, because I could never treat a child in my care like that. 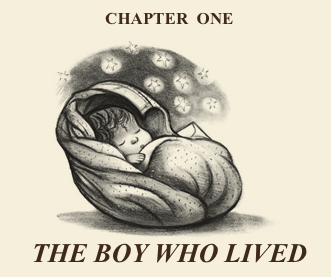 I like how his parseltongue starts out so early as well; if the wandless magic stuff is due to Voldemort's contribution, J.K. really establishes it early on. Or I'm reading too much into it. Also the boa constrictor still says "amigo"? I thought they would have changed it in the later editions (I'm reading the Pottermore epubs) but this is probably because it's never been to Brazil and probably knows next to nothing about its culture so they kept it in? IDK. These are going to be way too short to be worth it. :))) But this is prolly going to be fun?? ?